The iconic American Queen, part of the American Queen Steamboat Company's fleet, has an interesting river cruise itinerary starting in Memphis, Tennessee and ending in Louisville, Kentucky. Its special guest is bourbon! Visits to some of the best bourbon distilleries are included in the itinerary at no additional cost. 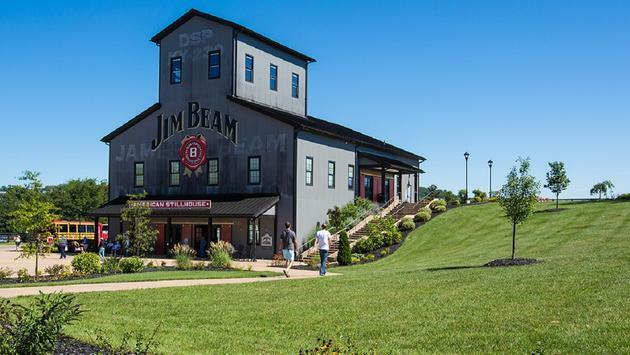 Guests will feel like family during a tour of the Jim Beam Distillery while learning about bourbon making process. The Willett Distillery will provide the most scenic views since it’s located in beautiful Bardstown, Kentucky—the “Bourbon Capital of the World.” This is a family-owned distillery that has been around since 1936. These are just a few of the many distilleries included on the cruise. Guests will be able to learn about the history of the area as well as the distillery during various tours, take in the surroundings and of course sample the bourbon. Most of the stops will have gift shops for guests to pick something out in to bring home. In case the distillery visits aren’t enough, there will be a few tastings held onboard the cruise as well, along with presentations, workshops and a variety of music. Read American Queen Steamboat Company’s blog to learn more about the bourbon-themed cruise. American Queen Steamboat Company (AQSC) is the operator of the U.S. flagged American Queen®, the largest, most opulent riverboat in the world. Longer than a football field, towering six decks in height and laced with fanciful gingerbread trim, she is a marvel of modern engineering.